The bathmat is an accessory often underestimated, but actually it is a crucial décor element. 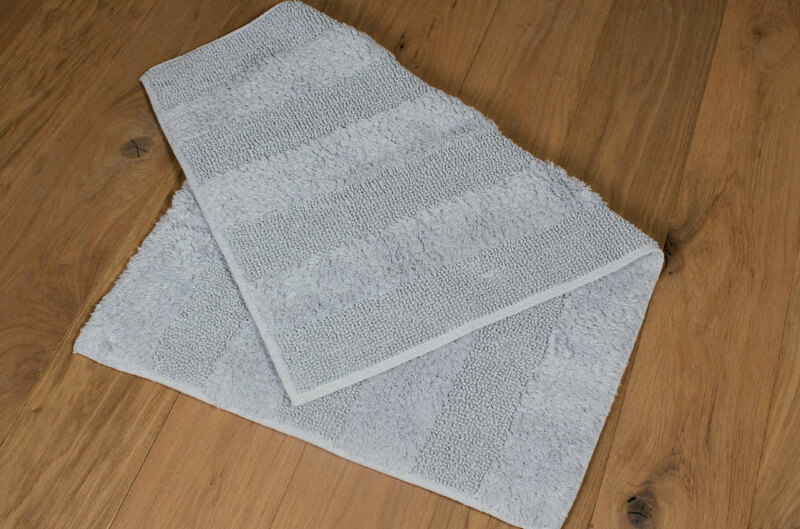 Bathmats, in facts, are useful since they absorb all water falling from washbasin or shower stall, and they are used as a comfy support for our feet, above all while coming out the stall or the bathtub. Furthermore, they can be used also to enhance the room. Here it is, specifically, when and how to use them. First of all, a good bathmat is water resistant, with a strong absorbing power, non-slippery and easily washable also at high temperatures (40-60°) in a washing machine. It is important, then, to know which is the material of production and which is the quality, in order to have an item able to carry out its proper function. 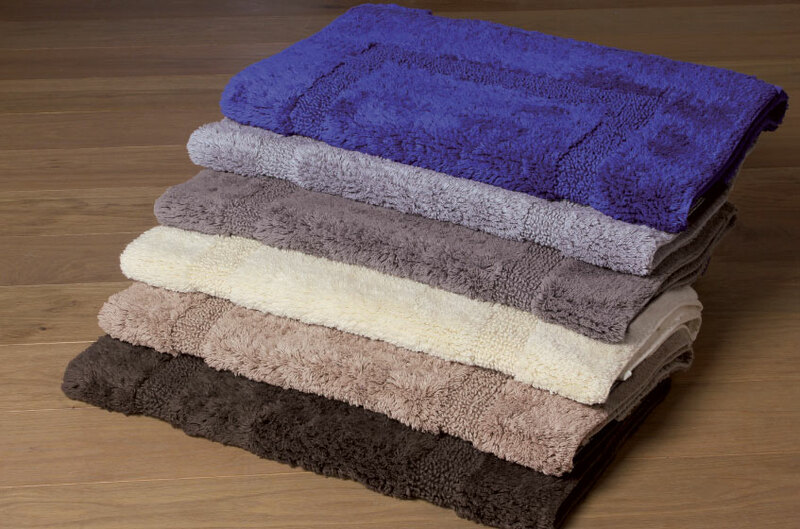 In general, they are made of chenille or cotton, but also as a towel, polyester microfiber, linen or double layer felt. Chenille is usually coming from a twist of artificial materials like technofibers, rayon, acrylic, viscose, even though it is available also with cotton fibers. It is pleasant above all for its softness and lasting, but it requires a continuous cleanness since dust tends to lay down on them. Cotton, resistant and soft, has to be matched to a plastic layer in the underside, to avoid a slippery effect; the 100% cotton items are strongly recommended. Also towels and all the synthetic materials have to have an anti-slippery side, or being treated with an acrylic resin, to ensure safety to users, above all when coming out the shower with wet feet. Some mats have also a certification ensuring the product do not contain any material harmful for health. 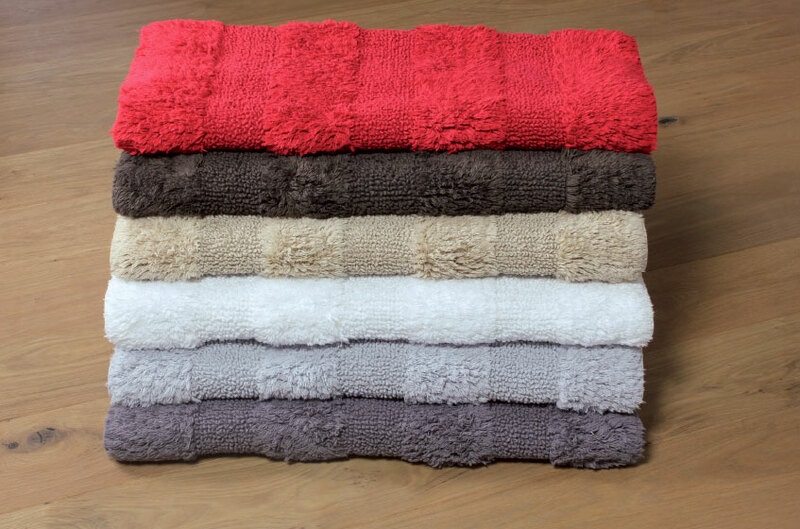 Otherwise, the choice can be linen bathmats, easily washable and light. Even better is they are reversible, so it is possible to use them with both sides. The market offers a large choice of bathmats, so it is easy to find a model suitable for a certain environment. In general it is better to use at least a mat 60 x 90 or 50 x 70 in front of the washbasin and the shower stall, to avoid dripping and to lean wet feet after the shower. In a classic bathroom and not too small the choice can be a set of mats: items have different sizes and shapes (square, round, etc) depending on their destination – in front of the bidet, WC, washbasin, shower stall/bathtub. Mats of the same set are usually of the same color, but today also chromatic contrasts are appreciated. A bathmats set is particularly useful when the bathroom floor is delicate and could be damaged by water, as instance when having opted for parquet in the bathroom too. If, instead, the environment is more modern, especially with suspended toilets, it is better to choose a unique, bigger mat (70 x 120 cm) at the centre of the room, to enhance the whole environment. Furthermore, in order to have an harmonious room with no excesses, the choice of the color is important, depending on the floor and main shades of the room. So it is possible to create contrast or ton-sur-ton effects. In a bright room with modern elements and light shades, it is possible to opt for a black or dark mat, or, instead, especially if white predominates, it is possible to choose a light color mat, to have a Spa effect. Where vibrant colors prevail we can add a mat of a completely different color, to have a touch of eccentricity, but also choose a color in step with the rest of the room. If the goal is a posh style, the mat too has to be neutral and bright, weird shaped mats have to be absolutely avoided. 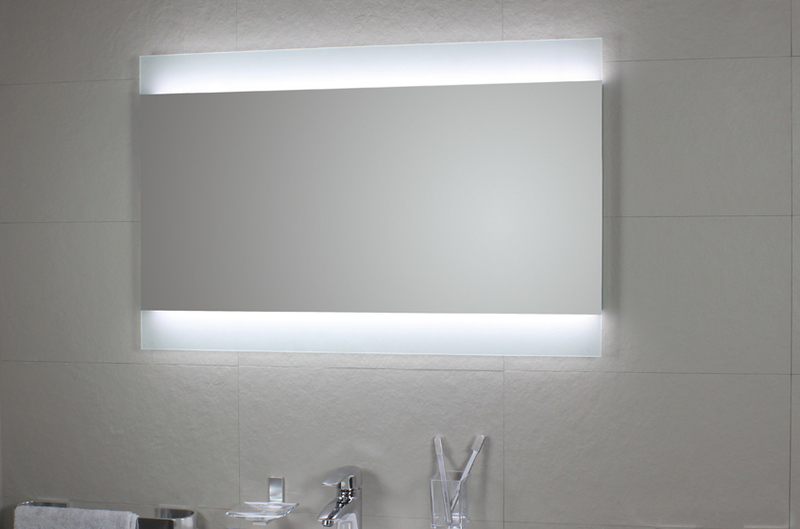 These ones are instead perfect for a young, glamour bathroom. So say yes to pink, orange, red and eccentric details in this case. Even if the most part of mats are plain, today many different models are available: if the will is to create an ethnic, psychedelic, vintage, rustic effect, it is possible to find the perfect mat. Whatever the choice is, it has to match to chosen colors for bath towels and décor elements. In any case, the strong point of the mats is the possibility to replace them so easily: changing style and color of mats we will get a different environment, not having to make drastic changes.